THESE TERMS OF SERVICE (“AGREEMENT”) ARE A LEGAL AGREEMENT BETWEEN YOU (“YOU”, “YOUR”, OR “CUSTOMER”) AND AIREMAN FILTRATION, LLC, (“WE” OR “AIREMAN”), THE OWNER AND OPERATOR OF THE WWW.AIREMAN.COM WEBSITE (THE “SITE”). THIS AGREEMENT STATES THE TERMS AND CONDITIONS THAT GOVERN YOUR USE OF THE SITE, AND YOUR PURCHASE OF THE SUBSCRIPTION AND PRODUCTS SOLD ON THIS SITE. BY ACCESSING AND USING THE SITE, YOU ARE INDICATING THAT YOU ACCEPT, AND AGREE TO COMPLY WITH, THIS AGREEMENT. IF YOU DO NOT ACCEPT THIS AGREEMENT, YOU ARE NOT PERMITTED TO, AND YOU MUST NOT, ACCESS OR USE THE SITE OR PURCHASE PRODUCTS FROM, OR SUBSCRIPTION TO, THE SITE. AIREMAN RESERVES THE RIGHT TO CHANGE THE TERMS OF THIS AGREEMENT AT ANY TIME. ANY CHANGES WILL BE EFFECTIVE UPON POSTING OF THE REVISIONS ON THE SITE REFLECTING THE NEW EFFECTIVE DATE. YOUR CONTINUED USE OF THE SERVICE FOLLOWING THE POSTING OF THE CHANGES ONLINE WILL CONSTITUTE YOUR ACCEPTANCE, APPROVAL AND ADOPTION OF SUCH CHANGES. YOU SHOULD FREQUENTLY REVIEW THE AGREEMENT (INCLUDING THE EFFECTIVE DATE) AND APPLICABLE POLICIES FROM TIME TO TIME TO UNDERSTAND THE TERMS THAT APPLY TO YOUR USE OF THE SERVICE AND/OR USE OF THE SITE. By signing up for a Subscription (as defined below), you represent, acknowledge and agree that you are at least 18 years of age. Aireman may add to, change or remove any part of the Site, including, without limitation, any Content (as defined below) therein, at any time without prior notice to you. Customers agree to provide accurate, current, and complete information as required for the purchase of the Products and Subscription (both as defined below in Section 3.1). Aireman reserves the right to block further sales to Customers who provide false, inaccurate or incomplete data. Customer acknowledges that Aireman uses a third party payment processing service to process orders and bill fees to your credit card. PLEASE TAKE NOTICE that Aireman automatically collects various types of information about your visits to our Site, registration for a Subscription, purchase of our products, and/or use of our Services. In addition to the personal information provided by you in connection with your account registration, we may also collect certain additional information by automated means, such as cookies, web beacons, and other automated devices. We and/or our third party service providers may employ canvas fingerprinting and other browser fingerprinting techniques that extract and analyze information about your browser, operating system, and installed graphics hardware in conjunction with other user information (e.g. time-zone, language preference, etc.) to help verify your unique identity for fraud prevention purposes and help us continue to improve our Site and Services. We may also use third-party website analytics tools (such as Omniture, Google Analytics, and Facebook Insights) that collect information about visitor traffic on the Site that help us continue to improve the Site, performance and user experiences. The types of information we may collect by such automated means include: Information about the devices our visitors use to access the Internet (such as the IP address and the device, browser, domain name and operating system type); URLs that refer visitors to our Site; Dates and times of visits to our Sites; Information on actions taken on our Site (such as page views and site navigation patterns); A general geographic location (such as country and city) from which a visitor accesses our Site; Search terms that visitors use to reach our Site and the webpage that led you to the Site. You may utilize the functionality on the Site by using your login credentials. You are responsible for maintaining the confidentiality of your passwords, and you are responsible for all activities that occur using your passwords or accounts. You agree not to share your passwords, let anyone else access your passwords or do anything else that might jeopardize the security of your passwords. You agree to notify Aireman if there is any unauthorized use of your password on this Site or if you know of any other breach of security in relation to this Site. Subject to your compliance with this Agreement, Aireman hereby grants you a limited, personal, revocable, non-transferable, non-sub-licensable, and non-exclusive license to access the Site and use the content, information, text, images, graphics, interfaces, audio and video clips and any other materials displayed on the Site (collectively, the “Content”), solely for your personal, non-commercial use. You may not copy, modify, reproduce, publicly display or perform, distribute, or otherwise use the Content except as expressly set forth in this Agreement. You may not remove any copyright or other proprietary notices from any Content. If you breach any term of this Agreement, your authorization to use the Site and Content automatically terminates without notice to you. You hereby represent and warrant that you will not, and will not induce any third party to: (a) attempt to disable or circumvent any security mechanisms used by the Site or Content or otherwise attempt to gain unauthorized access to any portion of the Site or Content or any other systems or networks connected to the Site, or to any server of Aireman or its third party service providers, by hacking, password “mining”, or any other illegal means; (b) use any “deep-link”, “page-scrape”, “robot”, “spider”, or other automatic device, program, algorithm or methodology, or any comparable manual process, to access, acquire, copy, or monitor any portion of the Site or Content; (c) use any device, software or routine to interrupt or interfere with, or attempt to interrupt or interfere with, the proper operation and working of the Site or with any other person’s use of the Site; (d) track or seek to trace any information on any other person who visits the Site; (e) use the Site or Content for, or in connection with, any illegal purpose, to solicit, facilitate, encourage, condone, or induce any illegal activity, or as otherwise prohibited by this Agreement or applicable laws, rules or regulations; or (f) copy, modify, create a derivative work of, reverse engineer, decompile, or otherwise attempt to extract the source code of any proprietary software used to provide, maintain, or otherwise applicable to the Site or Content. 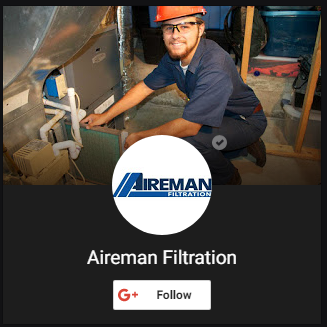 Aireman sells electronic air filters and supplies replacement media (the “Product(s)”) to its end-users who purchase the product or Subscription to receive the Services (“Subscription”). You may not purchase Products or Subscriptions for further commercial or business purpose. The Subscription and all rights and privileges conferred are personal and non-transferable. The Wingman1 Filter will honor a three (3) year frame and power supply warranty. Warranty claims must be made within three (3) years of the original purchase. Warranty claims will not be handled due to misuse, damage, etc. of the filter. Aireman’s Wingman1 full warranty information can be found at http:www.aireman.com (the “Warranty”). Customers that purchase a Wingman1 filter will be eligible to subscribe for a replacement pad subscription. This subscription will be processed and billed dependent upon customer’s product delivery frequency chosen during checkout. The customer’s subscription will automatically renew after each duration, unless they cancel their subscription between billing cycle. By selecting this, customers will be prompted to create an account through Aireman’s website. Customers can cancel their subscription any time after the initial purchase. Pricing for Aireman Products and Subscriptions (including any applicable shipping and handling fees) can be found on Aireman’s pricing page located on the Site at http://www.aireman.com. The price that we will charge you for the Products and initial Subscription will be the price as posted on the Site on the date you first sign-up for a Subscription to the Site or purchase a product. Aireman reserves the right to change prices for Products and Subscriptions at any time, and does not provide price protection or refunds in the event of promotions or price decreases. If you are dissatisfied with the Product for any reason, Aireman provides a money back return policy upon an initial Subscription or product purchase. Refund requests must be made directly to Aireman’s Customer Support Center at sales@aireman.com. All refund requests must be made within thirty (30) days of the date of shipment by Aireman. Aireman is not liable for Products that are damaged or lost in transit to Aireman, nor is Aireman liable for return shipping costs. Promptly following Aireman’s receipt of your request (typically within five (5) business days), Aireman will credit the amount paid for the returned Product (less any shipping and handling costs/fees related to the original purchase, which are non-refundable) to the credit card you used to make the original purchase. Notwithstanding the foregoing, Aireman does not control when a specific credit card company processes a chargeback transaction. You are responsible for contacting your credit card company if you have questions about the status of the chargeback. Upon receiving the returned product, Aireman will inspect the air filter and refund the credit card used to make the purchase and will cancel the subscription. If the product is the wrong size and you would like the correct size, you are required to ship the product back to Aireman at your expense. Aireman will inspect that all contents are received in an acceptable condition. Shipping of the correctly-sized product back to the Customer will be at Aireman’s expense. Aireman will not provide a refund for a request that is received by Aireman more than thirty (30) days after the date of original shipment. Aireman also does not provide a refund for returned Products that are damaged due to misuse, lack of care, mishandling, accident, abuse or other abnormal use, or an act of God. 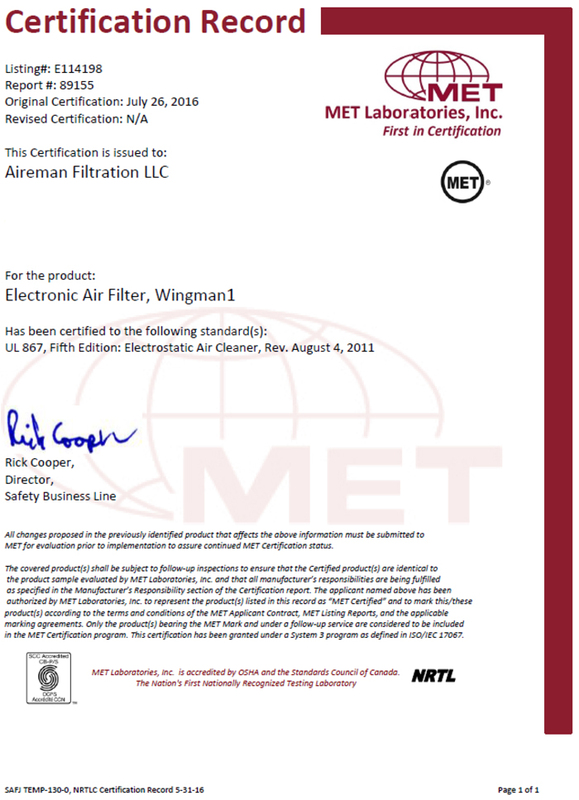 If Aireman does not provide the filter within sixty (60) days of purchase, the contract will terminate. If Aireman does not provide the replacement media within sixty (60) days of the scheduled subscription date, the contract will be terminated. Aireman accepts credit card payments only. You agree to pay all fees charged to your account based on Aireman’s fees, charges, and billing terms in effect as shown on the payment page when you first sign-up for a Membership to the Site. You are also responsible for paying any sales and use taxes and shipping and handling fees that may apply to your purchase of Products or Subscriptions based on the address that you provide as the shipping address when you register for a subscription, and you authorize Aireman or the third party payment processing service provider that we engage to charge your credit card for any such fees. All payments shall be made by credit card in advance prior to shipping the Products. If you do not pay on time or if your credit card cannot be charged for any reason, Aireman reserves the right to either suspend or terminate your account and Subscription and terminate these Terms of Service. All sales and payments will be in US Dollars. Aireman and Aireman’s third party payment service provider may receive updated credit card information from your credit card issuer. The disbursement of the updated credit card information is provided to Aireman and Aireman’s third party payment service provider at the election of your credit card issuer. Neither Aireman nor Aireman’s third party payment service provider are responsible for the distribution of your credit card information. It is at the sole election of your credit card issuer. Your credit card issuer may give you the right to opt out of the update service. It is your responsibility to contact your credit card issuer with regards to your right to opt out of the update service. AUTOMATIC SUBSCRIPTION RENEWAL FEE WILL BE AUTOMATICALLY CHARGED TO YOUR CARD ON FILE UPON EXPIRATION OF CHOSEN FREQUENCY. Aireman will automatically renew your Subscription on each anniversary date of the Subscription and we will charge your credit card with the applicable fees that may be imposed on your Subscription fee payments. Each Subscription renewal period is for 30, 60, 90, 120, 150 or 180 days dependent upon customers chosen frequency of replacement pad delivery. Once the subscription has expired, Aireman will continue to ship and bill for replacement media until you cancel. Airman will not refund credit for the current supply after the product has been shipped. It is your responsibility to cancel the supply. This important notice is authorized by you by checking the box demonstrating your consent for automatic renewal of your Subscription during the sign-up process. SUBSCRIPTION CANCELATION – You may cancel your subscription at any time by logging on to your account within Aireman.com. All cancellation requests must be received seven days before the end of your subscription term. Aireman requires a reasonable amount of time to process your subscription cancellation request. If you cancel your subscription you will continue to receive product until the end of the then-current Subscription term, and your subscription will expire at the end of the then current term for which you have paid. The standard, in-stock Product will be shipped within five (5) business days as the purchase via United States Postal Service. Non-standard or non, in-stock sizes can take up to ten (10) business days before shipment. The risk of loss and title for all Products purchased via the Site pass to the Customer upon delivery of the item to the carrier. You hereby acknowledge and agree that Aireman owns all legal right, title and interest in and to the Site and Content, including, without limitation, any and all intellectual property and other proprietary rights which subsist in the Site and Content, whether such rights are registered or unregistered, and wherever in the world those rights may exist. Aireman has no obligation to keep any Submission confidential, and no confidential relationship may be established by or inferred from any such submissions to or the consideration of your Submission by, Aireman. You hereby agree to defend, release, indemnify and hold harmless each of the Aireman Parties (as defined in Section below) from and against, any and all losses, liabilities, damages, and/or claims (including, without limitation, attorneys’ fees and costs) arising from your breach of this Agreement, or otherwise arising from your use or misuse of the Site, Content or Products. THE SITE, CONTENT, PRODUCTS AND SUBSCRIPTIONS ARE FURNISHED TO YOU “AS IS” AND WITHOUT WARRANTIES, REPRESENTATIONS OR CONDITIONS, STATUTORY OR OTHERWISE, OF ANY KIND. AIREMAN, ON BEHALF OF ITSELF AND ITS AFFILIATES, LICENSORS, SUPPLIERS AND THIRD PARTY SERVICE PROVIDERS, AND EACH OF THEIR RESPECTIVE DIRECTORS, OFFICERS, EMPLOYEES, CONTRACTORS, AGENTS, SUCCESSORS, AND ASSIGNS (COLLECTIVELY, THE “AIREMAN PARTIES”): (A)EXPRESSLY DISCLAIMS ALL REPRESENTATIONS, WARRANTIES AND CONDITIONS, WHETHER EXPRESS, IMPLIED OR STATUTORY, INCLUDING, WITHOUT LIMITATION, THE IMPLIED WARRANTIES OF NON-INFRINGEMENT, TITLE, MERCHANTABILITY, AND FITNESS FOR A PARTICULAR PURPOSE; (B)DOES NOT REPRESENT OR WARRANT THAT THE SITE, CONTENT, PRODUCTS OR SUBSCRIPTIONS WILL MEET YOUR REQUIREMENTS, OR THAT THE OPERATION OF THE SITE OR CONTENT WILL BE TIMELY, UNINTERRUPTED, STABLE, OR SECURE; (C)DOES NOT REPRESENT OR WARRANT THAT THE SITE, CONTENT, PRODUCTS OR SUBSCRIPTIONS WILL BE ERROR-FREE OR THAT ANY DEFECTS WILL BE CORRECTED; AND (D)DOES NOT MAKE ANY REPRESENTATIONS, WARRANTIES, OR CONDITIONS REGARDING THE USE OF THE SITE, CONTENT OR PRODUCTS IN TERMS OF THEIR ACCURACY, RELIABILITY, TIMELINESS, COMPLETENESS, OR OTHERWISE. YOUR USE OF THE SITE, CONTENT, PRODUCTS OR SUBSCRIPTIONS IS ENTIRELY AT YOUR OWN DISCRETION AND RISK AND YOU ASSUME TOTAL RESPONSIBILITY FOR YOUR USE OF THE SITE, CONTENT, PRODUCTS AND SUBSCRIPTIONS. THIS LIMITATION OF REMEDIES IS A PART OF THE BARGAIN BETWEEN YOU AND AIREMAN. NO ORAL OR WRITTEN INFORMATION OR ADVICE GIVEN BY AIREMAN OR ANY PERSON ON BEHALF OF AIREMAN SHALL CREATE A WARRANTY OR CONDITION, OR IN ANY WAY CHANGE THIS EXCLUSION OF WARRANTY. NOTHING IN THIS SECTION SHALL EXCLUDE OR LIMIT THE AIREMAN PARTIES’ WARRANTIES, REPRESENTATIONS OR CONDITIONS TO THE EXTENT THEY MAY NOT BE LAWFULLY EXCLUDED OR LIMITED BY APPLICABLE LAW, IN WHICH CASE, SUCH WARRANTIES, REPRESENTATIONS OR CONDITIONS WILL BE EXCLUDED AND LIMITED TO THE GREATEST EXTENT PERMITTED BY APPLICABLE LAW. IN NO EVENT SHALL ANY AIREMAN PARTY BE LIABLE TO YOU, OR ANY THIRD PARTY, FOR ANY SPECIAL, INDIRECT, INCIDENTAL, PUNITIVE, EXEMPLARY, RELIANCE, OR CONSEQUENTIAL DAMAGES OF ANY KIND, INCLUDING, BUT NOT LIMITED TO, PROPERTY DAMAGE, LOSS OF VALUE OF THE PRODUCTS OR LOSS OF USE OF THE PRODUCTS, WHETHER BASED ON BREACH OF ANY EXPRESS OR IMPLIED WARRANTY OR CONDITION, BREACH OF CONTRACT OR TORT (INCLUDING, WITHOUT LIMITATION, NEGLIGENCE OR STRICT LIABILITY). IF, NOTWITHSTANDING THE FOREGOING, AN AIREMAN PARTY IS FOUND TO BE LIABLE TO YOU OR ANY THIRD PARTY FOR ANY DAMAGE OR LOSS WHICH ARISES UNDER OR IN CONNECTION WITH YOUR USE OF THE SITE, CONTENT, PRODUCTS OR SUBSCRIPTIONS, TO THE FULLEST EXTENT PERMISSIBLE BY LAW THE RELEVANT AIREMAN PARTY’S TOTAL CUMULATIVE LIABILITY SHALL NOT EXCEED THE GREATER OF: (A) THE AMOUNT YOU PAID AIREMAN FOR THE PRODUCTS OR SUBSCRIPTION, AS APPLICABLE; AND (B) THE SUM OF ONE HUNDRED US DOLLARS (US$100). NOTHING IN THIS SECTION SHALL EXCLUDE OR LIMIT ANY AIREMAN PARTY’S LIABILITY FOR LOSSES WHICH MAY NOT BE LAWFULLY EXCLUDED OR LIMITED BY APPLICABLE LAW, IN WHICH CASE, SUCH AIREMAN PARTY’S LIABILITY WILL BE LIMITED TO THE GREATEST EXTENT PERMITTED BY APPLICABLE LAW. This Agreement is governed by the laws of the Commonwealth of Pennsylvania. Any disputes arising under this Agreement, the Products, or Subscription shall be adjudicated in the Luzerne County Court of Common Pleas in Wilkes-Barre, Pennsylvania. Whenever you visit our Site or send emails to us, you are communicating with us electronically. For that reason, you also consent to receive communications from us electronically. We will communicate with you by email (if you have provided your email address to us), by posting notices on our Site or by such other means as we may determine from time-to-time. You agree that all agreements, notices, disclosures, and other communications that we provide to you electronically satisfy any legal requirement that such communications be in writing, to the extent permitted by applicable law. 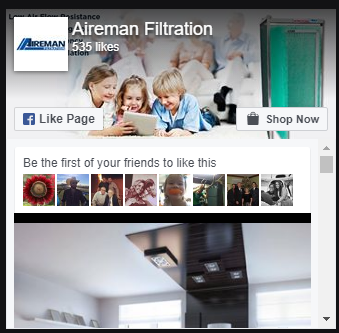 You can contact Aireman Filtration, LLC, by telephone at 1-800-558-5587 or P.O. Box 35, Sweet Valley, Pennsylvania, 18656. Aireman has service areas anywhere in the forty-eight (48) contiguous United States. Addresses will be verified when creating an account. Aireman reserves the right to monitor shipping/sales and refusing a sale to an address that is under suspicion of ordering excess filters, which can financially affect Aireman. If a filter is lost, stolen, sold, or you change addresses, you must cancel your membership or subscription. You will be obligated to pay continued service or termination fees. Membership/Subscriptions are transferrable in the event of moving by changing shipping addresses on The Site. It is your responsibility to notify Aireman of these specific changes. You are obligated for payment if you fail to properly transfer shipping/billing addresses. If your new home requires a different size filter than originally purchased or your new home does not have a HVAC unit with a compatible filter rack, the Subscription may be terminated. Replacement media is filter-specific. Installing replacement media other than one purchased through Aireman can result in damaging the Wingman1 unit, the ventilation system and/or cause personal injury or property damage. This will void the filter warranty. Please consult the owner’s manual for proper installation instructions. Aireman is not responsible for any damages that occur due to altering the performance of the electronic air filter.